After trying gymnastics and baton twirling, Lisa Sheehan-Smith has become a champion figure skater. "Everybody in Canada skates," Lisa Sheehan-Smith says. "We had rinks on every corner of the neighborhood, it seemed." Yet it wasn't until she moved to Tennessee that she learned to skate properly. As a kid, she'd just cut her way around the ice, having fun with friends. At age 40 -- and starting to work on her master's and doctorate at Vanderbilt -- Sheehan-Smith returned to the ice to take up figure skating. 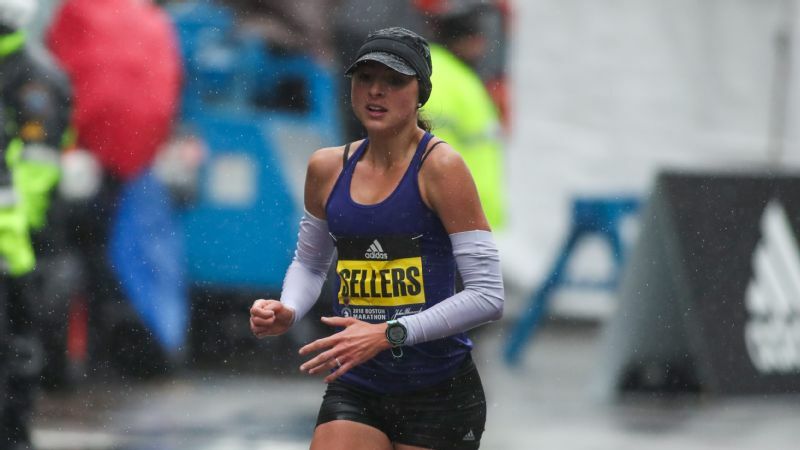 "I needed an [athletic] outlet because I didn't want to get unhealthy during that time," she says. "I'd heard so much about the stress of working on your doctorate, what it could do to your body." 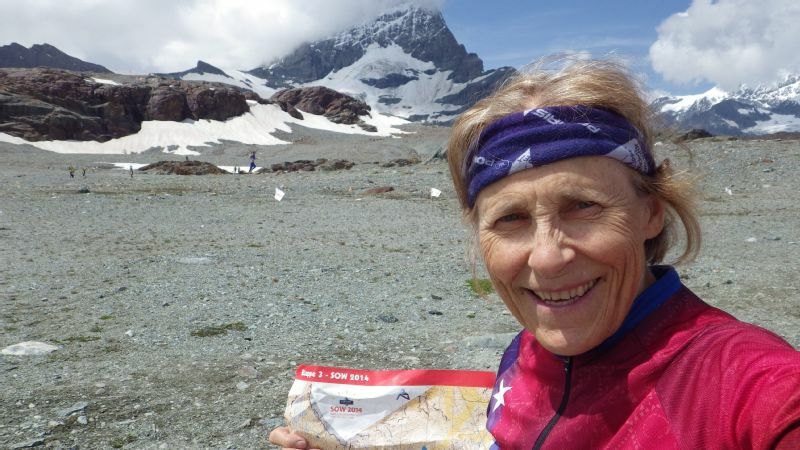 In 2004, after learning the basics in a group class for adults, Sheehan-Smith entered her first competition, just days before her dissertation. "It was not an enjoyable, pleasant experience. I was so surprised how nervous I was that first competition," she says. "It took me completely by surprise and I was very disappointed." In the years since, Sheehan-Smith, 59, has polished her skills and fallen in love with figure skating. 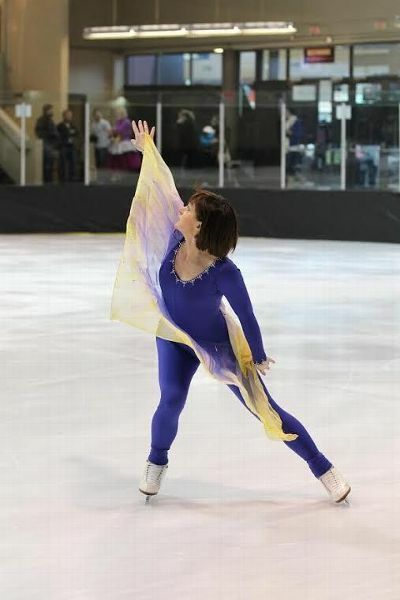 Among her skating accomplishments are three national age-group championships. She serves on the board of the Nashville Figure Skating Club, acts as a competition judge for a local skating academy and did a three-year term on the U.S. Figure Skating Sports Sciences and Medicine Committee. 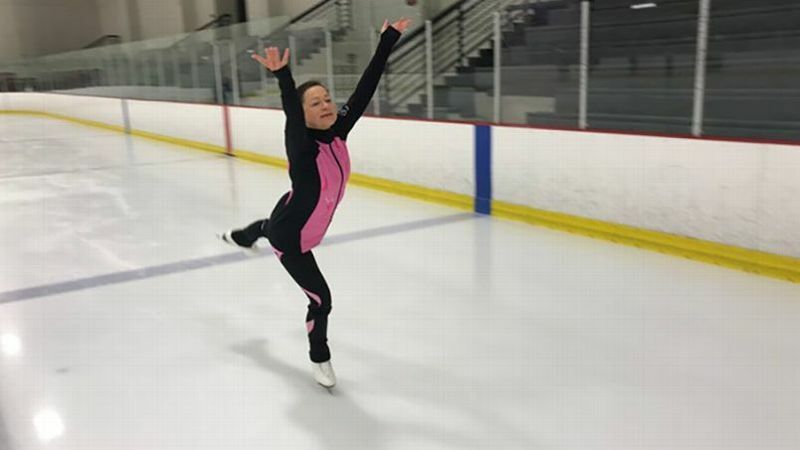 Though figure skating is a big part of her life now, it wasn't always her top choice. Sheehan-Smith's first athletic goal was to be an Olympic gymnast. She competed all through high school but eventually realized she didn't have the flexibility to be the next Nadia Comaneci. She found more success as a baton twirler, winning a Canadian championship as a high school senior. She then ventured south to Western Kentucky University and was selected by judges to twirl for the school's Big Red Marching Band. The opportunity gave her the chance to perform in front of over 20,000 fans. "We didn't have that in Canada," she says. "Football is big, but not college football. Marching bands, at least in my time, there wasn't such a thing. So I got to do something a little different." After graduating from Western Kentucky, she moved on to Vanderbilt University in Nashville, Tennessee, to complete her doctorate. She recently finished her 21st year teaching at Middle Tennessee State. The science of nutrition -- she's also a registered dietitian -- had fascinated her since she was a girl competing in gymnastics. Then, when her father was diagnosed with Type 2 diabetes, she was inspired by the dietitian who worked with him. "It's been a wonderful career," she says. "At MTSU I direct the dietetics program. Now I get to see a lot of future dietitians in the works and it's always wonderful to see them successful after the fact, too." Sheehan-Smith has combined her interests in nutrition and competition, giving workshops to athletes, and also doing a study on the nutritional needs of figure skaters, based on participants in the 2007 U.S. Figure Skating Championships. Her own philosophy is to eat small amounts of food frequently throughout the day. Every meal and snack includes a fruit or vegetable, whole grain and source of lean protein, and she stays hydrated. 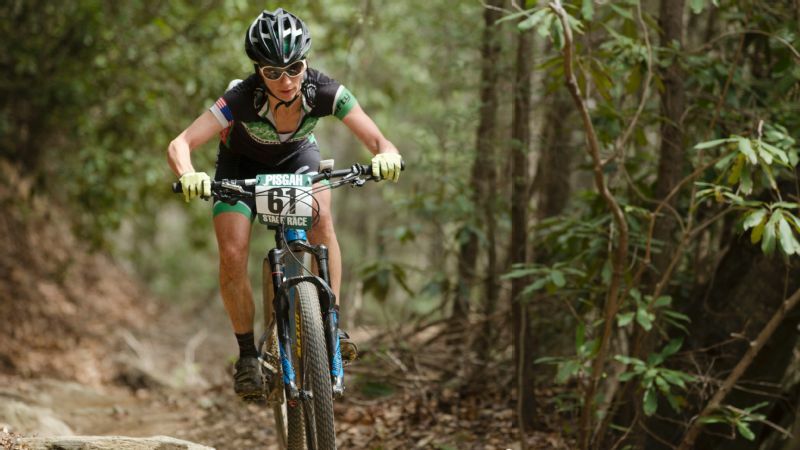 She knows diet impacts performance, but she says it's not complicated. "I've always felt my mother always did a lot of healthy things before we knew it was healthy," she says. 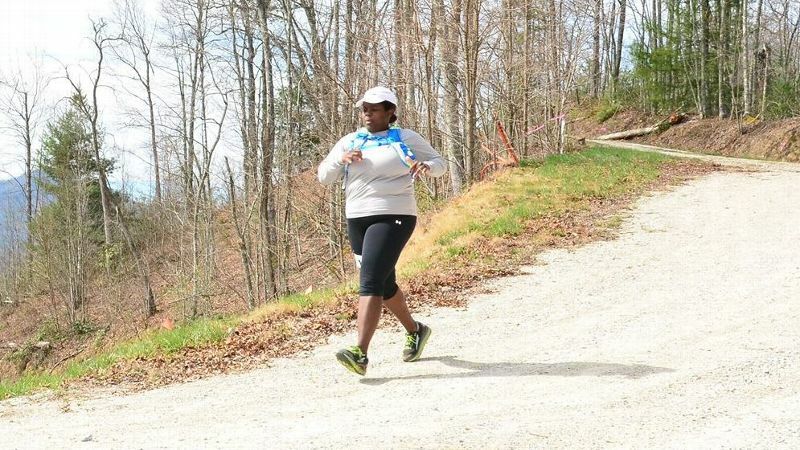 "I always felt a difference when I ate properly to support my sports." She says eating "good, normal, healthy food" and being active is the key to having the highest-quality life. Diet, however, won't prevent some nasty injuries. Figure skating can be a contact sport. The ice is hard. Sheehan-Smith has had three surgeries on her left knee, broken both her wrists, bruised her tailbone twice and severely bruised her ribs. But she keeps coming back. The highs outweigh the lows. The memory she has from the 2015 national championships in Salt Lake City, for instance, still makes her emotional. "When I'm planning out the next month, I know exactly when I'm going to be skating, what else is coming up, so nothing interferes with it," Lisa Sheehan-Smith says. She was competing in a category called Showcase Dramatic, skating to Patsy Cline's "Crazy." Everything went perfectly. Wearing white gloves and a black dress with white trim below her shoulders, she glided across the ice exactly the way she hoped. "I came off the ice and I was just spent," she recalls. "I felt like I'd skated so well." Her husband, Bob, told her he'd never seen her skate the program so well. When Bob read the judges' scores to her -- she didn't have her glasses -- she was overwhelmed. "He said, 'It's yours!' she says. "It is a good feeling, it is. You don't get that every time, but that's what you're going for." Because of her knee injuries, Sheehan-Smith has cut back on the hours she skates each week. She now does two 90-minute sessions, usually early in the morning before work. She also does off-ice training three to four times per week at about an hour each, focusing on cardio, core and stretching. Even if she takes a day off from training, she'll still stretch. She maps out her skating and workout schedule just as she does with her teaching schedule. "When I'm planning out the next month, I know exactly when I'm going to be skating, what else is coming up, so nothing interferes with it," she says. She doesn't attempt some moves that she used to incorporate into her programs -- flips and lutzes -- because of her tender knees. "I've just had to acknowledge that I'd rather skate longer with less pain than try to do those jumps that cause me too much pain," she says. But there's plenty she can do, and do well: upright spins, sit spins, camel spins, back-scratch spins. In the free skating program she's working on for this season -- to carry on to the 2019 nationals (her goal is to go every other year) -- she does a loop jump, then a three-jump combination of salchow, toe loop, toe loop. It also has a waltz jump. She'll wear a black unitard and skate to Annie Lennox's "I Put a Spell on You." In a different competition this season, she'll also incorporate all those years of baton twirling. "I'm twirling three different types of batons and skating to 'If My Friends Could See Me Now,' " she says, laughing. "That's going to be fun, a little like a circus out there."